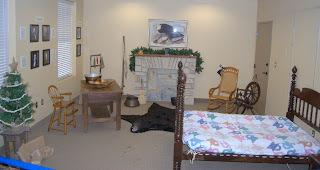 The Depot Community Room has refurbished its conference room into an early American home at Christmastime. The display is on exhibit through the end of December. While you're out running ragged and fighting traffic and crowds this holiday season, take a deep breathe and remember there was a simpler time in our nation's history. In fact, if you'll turn that car in the direction of the Depot Community Room, you can get a glimpse back into Christmases long ago with our new exhibit "An Early American Christmas" now open. Also mark your calendar for December 11, from 10 a.m. to 2 p.m. That's when the Community Room will celebrate Christmas with a reading of " The Night Before Christmas". This poem was believed to have been written on December 24, 1822 by Clement Moore, although he didn't publish it under his name until 1844. 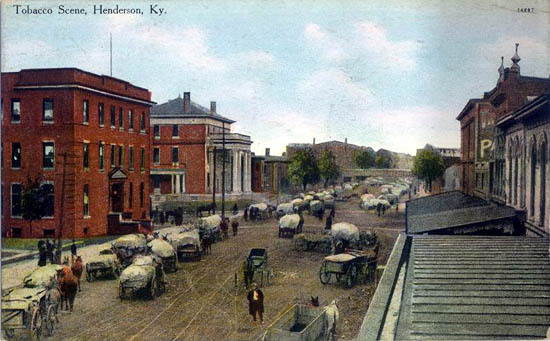 Henderson at the time was still part of what is often called the First Frontier. Settlers from North Carolina and Virginia were pushing their way west and into the Ohio River Valley, which was still for the most part a vast wilderness. Follow this link to read more about the history of the poem on the Library of Congress website! Other activities for that day are TBA soon! Join History Professor Susie Thurman on a guided walking tour highlighting historical sites and stories in downtown Henderson Saturday, Nov. 6. The tour leaves from the Depot at 101 N. Water St. on Henderson's riverfront at 10 a.m. The tour lasts approximately 1 hour and is free to the public. This will be our last walking tour of the year! The Henderson Historical and Genealogical Society put together a very nice book commemorating the town's bicentennial that is for sale at The Depot! The booklet documents Henderson's earliest days, including Richard Henderson's land purchase from the Cherokee Indians and some of the many "firsts" in our fair city! It's a great read and a great reminder of our roots! The book is $5 and may be purchased at the historical society, the Depot Community Room and the Henderson visitor's center. Copies of the 1810 census are also available for purchase at the historical society, and a large reprint of the census is hanging on a wall in the Community Room. The historical society also has copies of 1799 Quarter Session Court Records, Early Census, 1792, 1799, 1800, 1810, 1820, 1830 and 1840 available for sale. Note: To help celebrate the 200th anniversary of the City of Henderson's Incorporation, we will dedicate a series of blogs to profiling people, places and important time periods in the city's history. 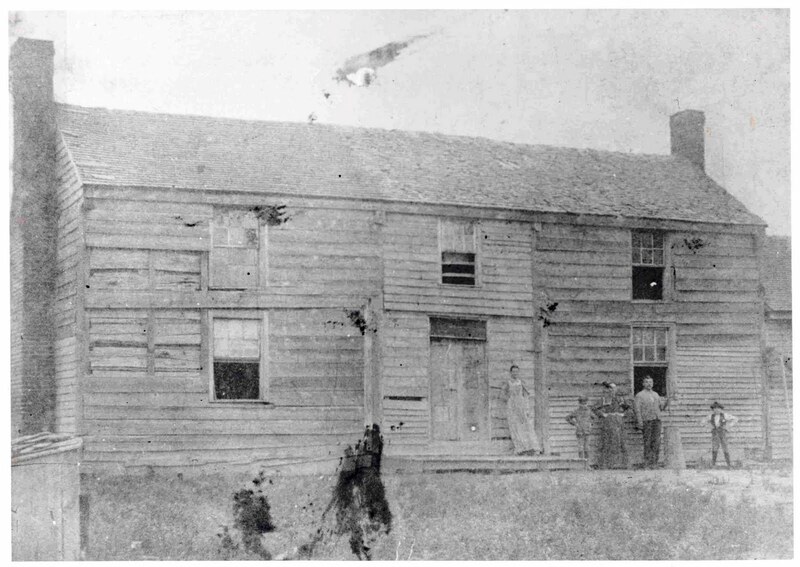 The photo above shows us the home of Dr. Adam Rankin, who was one of Henderson's first physicians. Rankin was born in Pennsylvania, then later moved to Danville, Ky., before settling in Henderson around 1800. At that time, Henderson had fewer than 200 people living inside the city limits. He was not only an esteemed physician -- having actually been trained in the field -- he was active in the planning and growth of Henderson as a town. Dr. Rankin served on Henderson's first Circuit Court, and in 1802 was appointed commissioner along with Edmund Hopkins with the responsibility of having bridges constructed over several creeks in the county at important fords. Both men paid 90 dollars each to bridge Canoe Creek at the crossings on the Owensboro Road, Madisonville Road and Morganfield Road, according to Edmund Starling's "History of Henderson County, Ky." There were no spike nails at the time, so wooden pins were placed at each end of the bridge poles to hold them in place. When John James Audubon arrived by boat in Henderson in 1810 a very ill man, Dr. Rankin took Audubon and his family into his home while he nursed Audubon back to health. Later, when Audubon left his family for several months to try a business venture in Missouri, Lucy worked as governess to the Rankin children and boarded with her children in the doctor's home. *Bibliography: Edmund Starling, "History of Henderson County, Ky." 1887; Henderson County Historical and Genealogical Society family files. Depot Community Room has new blog! 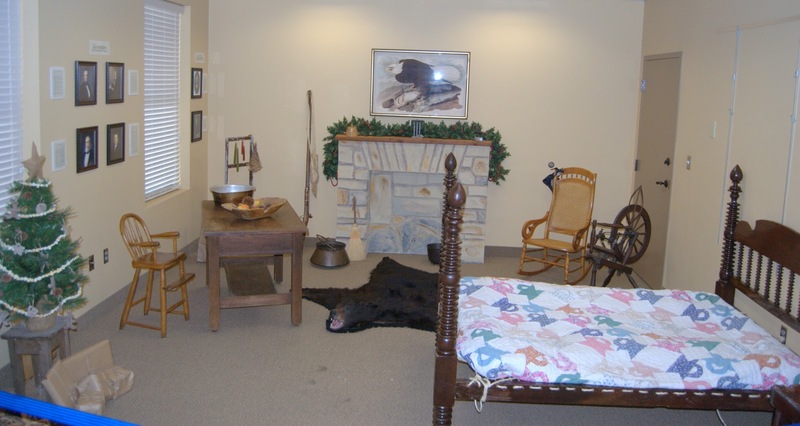 Tune in here regularly to learn about events and exhibits in the Depot Community Room, an exhibit hall featuring items related to Henderson, Ky., history. Saturday, Sept. 4, join us on a church walking tour featuring a sampling of music played on the unique organs inside each church! Holy Name, Immanuel Baptist Temple, United Methodist and Zion United Church will be featured. The tour starts at 10 a.m. at The Depot, located at 101 N. Water St. in downtown Henderson, Ky. Best of all, it's FREE! !